In its landmark report, The Polygraph and Lie Detection, the National Academy of Sciences found that polygraph screening is completely invalid and warned that a faith in polygraphy not warranted by the evidence represents a threat to national security objectives. The following article published in INSCOM Journal, a quarterly publication of the U.S. Army Intelligence and Security Command, provides an alarming example of such unwarranted official belief in the lie detector. The author of this article fails to note that Al-Qaeda training materials explain that the lie detector is a fraud, that Iraqi Baath party operatives have been beating the polygraph, and that Ana Belen Montes, the Pentagon's senior analyst for matters relating to Cuba, was herself a Cuban double agent who beat the polygraph. The Polygraph Branch, 310th MI Battalion, conducts counterintelligence scope polygraph screening examinations in support of Department of Defense Special Access Programs, the Department of the Army Cryptographic Access Program and the National Security Agency on a routine basis. In addition, operational examinations are conducted in support of Offensive Counterintelligence Operations, Counterintelligence/ Counterespionage Investigations and Counterintelligence Force Protection Source Operations. With the current Global War on Terrorism and other significant events occurring throughout the world, the mission continues to increase. During the last fiscal year, the branch conducted 1137 counterintelligence scope polygraph screening examinations and 68 operational examinations. These numbers are expected to increase dramatically in the near future. The Army continues to lead the way when utilizing polygraph in the tactical arena. US Army examiners were the first polygraph personnel to go to Guantanimo [sic] Bay, Cuba and Kandahar and Bagram, Afghanistan pursuant to the GWOT and the search for Osama Bin Laden. While other agencies waited to see if polygraph would yield favorable results in such an environment, Army examiners proved it could, conducting sensitive examinations to determine the veracity of information reported by known/suspected Taliban/al Qaeda members. In one instance polygraph nullified a significant biological weapons threat while in another it aided the State Department by clearing one of our allies of direct involvement with al Qaeda. It has also cleared some individuals of direct involvement with al Qaeda and allowed commanders to better utilize assets available. As an investigative aid, polygraph has helped investigators in closing numerous investigations. In cases where a polygraph was requested, numerous allegations have either been proven or nullified due to the polygraph. This has led to a significant increase in the number of requests received. In the screening environment, polygraph has identified numerous security concerns and identified possible threats on a continuous basis. However, on several occasions, examinees have admitted to having classified/sensitive information outside of government control. The polygraph has identified these possible threats and recovered the information. The Department of Defense continues to expand the use of polygraph because of its proven benefit. The 902nd MI Group polygraph examiner strength may increase from the current ten examiners to twenty-five over the next five to ten years. This includes adding various programs and requiring even more polygraphs in those areas where intelligence is susceptible. The House Permanent Select Committee on Intelligence recently concluded that the polygraph was one of the best tools available to safeguard intelligence information. It is another tool which commanders can use to safeguard information. This has many looking to expand its uses to other jobs where leaks can occur. The 310th MI Battalion routinely conducts polygraph screenings. The polygraph is still one of the best, and sometimes the only means available to determine the veracity of information. In the tactical environment, the Army has proven to be the expert. However, it still has a long road ahead. There is a need to educate those in the tactical environment on the uses and benefits of polygraph. Clearly spelling out the ways in which we can benefit the command. Branch personnel currently teach a two hour block of instruction to the Counterintelligence Force Protection Source Operations Course and the 35E course at Fort Huachuca, Ariz, on a recurring basis. 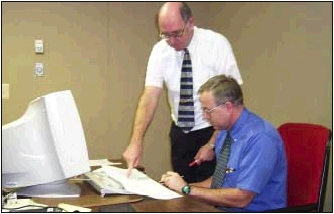 Examiners also furnish instruction to units throughout the continental United States when requested. Polygraph, like any other specialty cannot be learned overnight. Experience is an invaluable asset that must continue to be protected. March 31, 1998, a divided United States Supreme Court, in United States v. Scheffer, held that the results of a polygraph examination could be banned from use in a criminal trial because there is simply no consensus that polygraph evidence is reliable. The court found that the scientific community, the state, and federal courts were extremely polarized on the matter. Five of the justices noted: "there is much inconsistency between the Government's extensive use of polygraphs to make vital security determinations, and the argument it made in that case stressing the inaccuracy of these tests." 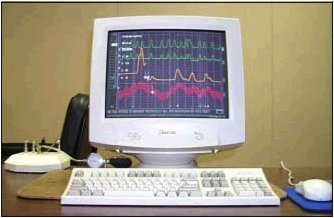 The court found nothing inconsistent in the government's use of the polygraph for personnel screening and as a tool in criminal and intelligence investigations because, it said, such limited out-of-court uses of polygraph techniques differ in character from, and carry less severe consequences than, the use of polygraphs as evidence in a criminal trial. Justice Stevens in a dissenting opinion supported polygraph use by the Department of Defense, because examiners were trained in its own Polygraph Institute, "which is generally considered the best training facility for polygraph examiners in the United States." The court put to rest argument against the continued use of this technique as a tool in national security investigations.